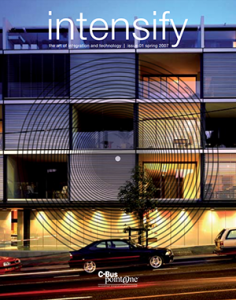 5thCorner appears in the first issue of ‘Intensify’ – part of Clipsal’s C-Bus pointOne program – which aims to showcase Australia’s best of the best in systems integration! Pretty impressive huh? Check it out! click here.